Today is the final day on our project before GGC. We’re all working on finishing some final things and fixes before the day ends. Some final effects have to be implemented, our poster for the show-floor must be finished and printed, a final score-screen is being fixed and some main-menu animation is being edited, among other things. This past week I’ve been working on the trailer for Scrap Pirates, and finished it yesterday. We wanted to keep the trailer simple, using the in-game assets and gameplay footage, as we didn’t have the time to create a lot of new animations. 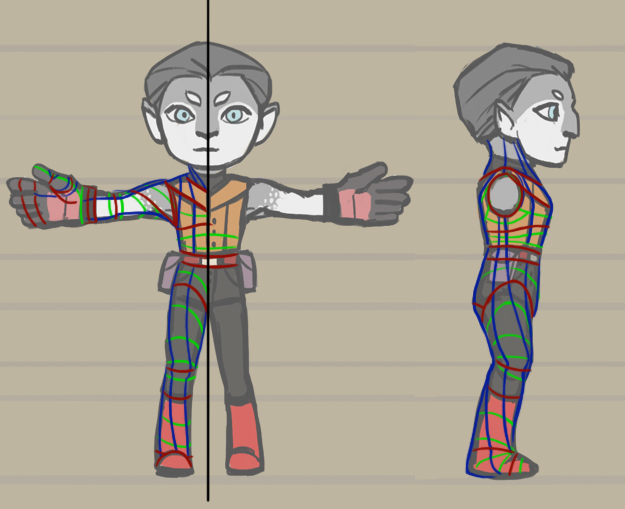 The only “new” character animation in the trailer is a short pointing-animation consisting of three frames, where I just changed the arm on the idle-pose. Last week I got a decent amount of work done, though I’m a bit late with this update. My bad. Here we go again. After a long spell of burnt out silence I’m dusting of my blog and going back to writing. This time it’s for our last course of the year, and I’ll be writing a weekly post for about 8 to 9 weeks. As the title suggests this post will cover the first two weeks of what’s been going on with our Big Game Project (or BGP for short). Here’s a visual update of my final assignment 3 model. 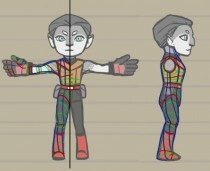 My 3D-model of the character Vinda in UDK. 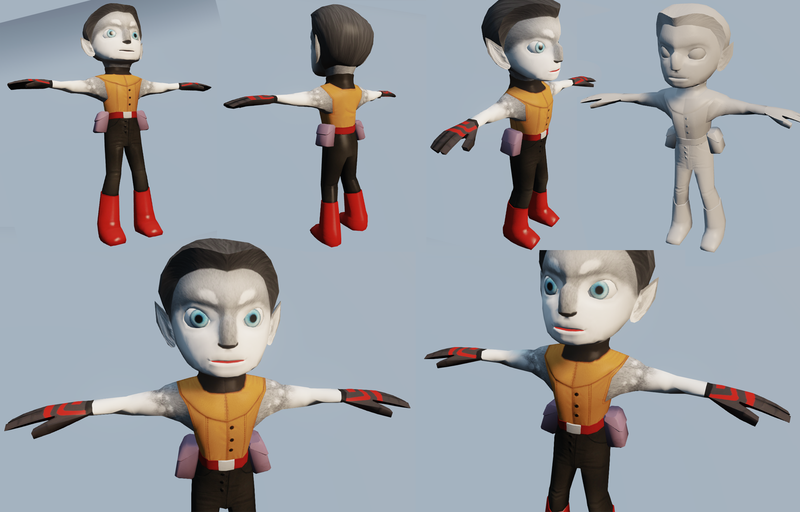 Here’s a visual update on how my character model of Vinda is coming along. You can read more about my work with the character in my previous Assignment 3 related posts, and read more about the character herself in my post “About Vinda”.